This book is written to be an assessment guide from the plant engineering, pipeline engineering and operations perspective. It is intended to serve as a guide for the practicing plant and pipeline engineer, operations personnel, and central engineering groups in operating companies. It will serve as a helpful guide for those in the engineering and construction companies to provide insight to plant and pipeline operations from their client’s eyes and to writing specifications and procedures. It also will offer engineering students a perspective about plant and pipeline operations for a more productive career. 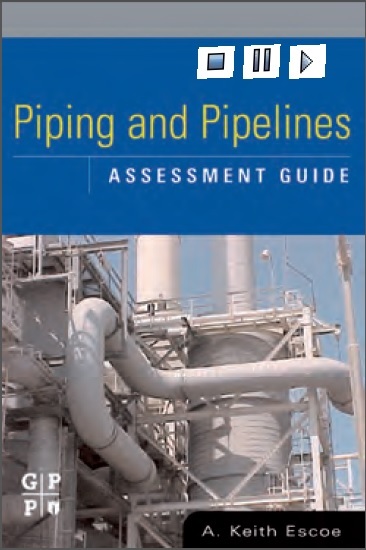 Also the book will be a helpful guide for plant and pipeline inspectors who are so critical to the satisfactory operation of plant and pipeline facilities. The role and function of inspectors cannot be over emphasized. 3. 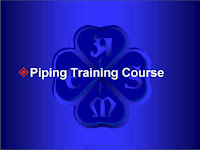 Fitness-for-Service Topics of Local Thin Areas, Plain Dents, Dents-Gouges, and Cracks for Piping.